Speculation, surrounding the possibility of bringing in a young midfielder has reared its head again in the morning press. According to the news source, ESPN, Chelsea have re-iterated their interest in bringing the USA international, Christian Pulisic, to the club by offering his club, Borussia Dortmund, £45 million for his services. However, it appears the Bundesliga side are prepared to pay a waiting game. Instead of snapping up Chelsea’s offer, Borussia Dortmund are sitting tight and waiting for any other offers to materialise. Clearly, knowing that they are likely to lose the 20-year-old, the German club are determined to recoup as much money as possible for their asset. Now whether Pulisic will end up at Stamford Bridge or elsewhere could very well depend on how Chelsea finish the season, clinching a Champions League place could go some way in convincing Pulisic that Stamford Bridge should be his next destination. 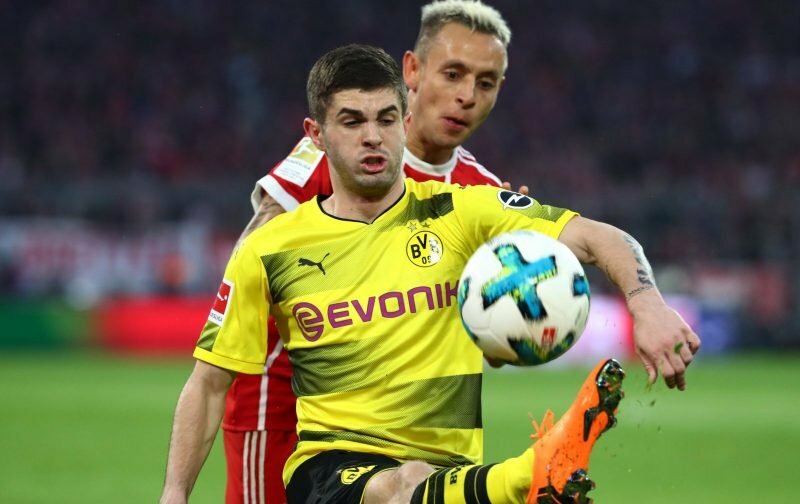 Can you see this particular transfer going through or do you fear Pulisic could end up elsewhere?